China and India have become a lot less poor. Although they still have a ways to go -- as do we all -- a staggering number of people in both countries are living substantially better lives than their parents did because they have been allowed, to a greater degree than before, to pursue their own interests. The least that organizations like the UN could do is refrain from denigrating that pursuit. The United Nations held its Third International Conference on Financing for Development (FFD3) in Ethiopia this summer. At the meeting, Secretary-General Ban Ki-moon called for a "reboot" of development finance to fund the pursuit of the post-2015 Sustainable Development Goals that will take the place of the UN's expiring Millennium Development Goals moving forward. 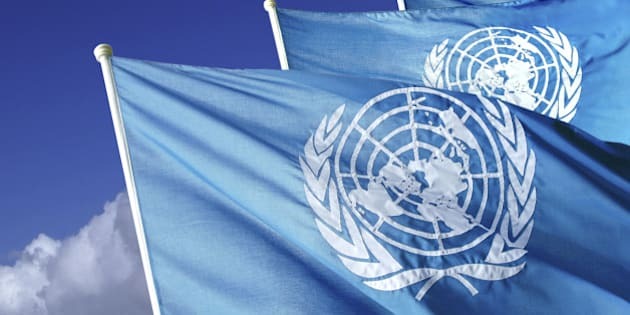 The 17 new goals and 169 new targets are expected to be adopted by the UN General Assembly at a Sustainable Development Summit being held in New York this weekend. Yet the rhetoric bandied about at this summer's conference demonstrates a lack of understanding of one of the most fundamental building blocks of economic development. We do not need to "overcome narrow self-interest" in order to promote "the common well-being of humanity", as Mr. Ban suggested. What the world's poorest need to escape their dire circumstances, far more than charity, is precisely the freedom to pursue their own legitimate interests. All of us want good things for ourselves and our loved ones, first and foremost. That doesn't mean we want to harm the interests of others, however. And as long as we pursue our interests in an honest way, respecting the rights of others, the only way we can profit is by providing others with something they value. Through the mechanism of positive-sum trading, the common good will be promoted as a matter of course. As Adam Smith famously said, seeking only our own interest, we will be led, as if by an invisible hand, to further the interests of others, though it may be no part of our design. This is not merely an elegant theoretical explanation; it is also fully supported by the empirical data. The greater the degree of freedom we have to pursue our own economic interests, the better off we are. Adjusting for purchasing power, the most economically free 25 per cent of nations had an average per capita GDP of $39,899 in 2012, compared to $6,253 for the least-free quartile. It's not just the rich who benefit, either. The poorest 10 per cent of the population in the freest countries enjoy average incomes of $11,610, compared to a mere $1,358 for those living in the least-free countries. In general, the freer we are, the wealthier we tend to be. And the wealthier we are, the healthier, more educated and happier we tend to be as well, since we can afford to pay for doctors and teachers and other good things. Hence, the freer we are, the more "the common well-being of humanity" is promoted. ways. Substantial progress has been made on multiple fronts, which is great news for humanity. But primary credit for this progress does not go to the UN with its high-level meetings and loudly proclaimed goals. The main reason the lot of the poor has improved so significantly in the interim is the strong economic growth the world has experienced -- financial and economic crises notwithstanding -- and the expansion of economic freedom we've enjoyed, uneven though it has been. For instance, U.K. researcher Declan French from Queen's Management School has analyzed the 41 per cent reduction in the under-five mortality rate worldwide from 1990 to 2011. It is true that the rate of reduction has accelerated since the year 2000, when the Millennium Development Goals were adopted. But it is also true that economic growth rates around the world accelerated significantly during this same time period. According to French's analysis, it is this growth, not the UN's goals, that accounts for the more rapid decreases in child mortality seen in the early 21st century. Indeed, the main reason we made so much progress is that the two most populous countries on the planet, China and India, have become a lot less poor. And that progress in turn is due in large part to the fact that they have become considerably freer than they used to be, especially in terms of trade freedom. Although they still have a ways to go -- as do we all -- a staggering number of people in both countries are living substantially better lives than their parents did because they have been allowed, to a greater degree than before, to pursue their own interests. The least that organizations like the UN could do is refrain from denigrating that pursuit.